A well-informed citizen is a better voter. Citizens for Judicial Excellence recommends VotingforJudges.org as a valuable resource for evaluating judicial candidates. VotingforJudges is a nonpartisan, impartial source of information about judicial elections in the state of Washington. The site was established in 2006 to provide information to voters in connection with the appellate judicial contests that year, and it has expanded to cover all judicial elections throughout the state. All of Washington’s 2012 elections will be reported. The Washington State Bar Association’s mission is to serve the public and the members of the Bar, ensure the integrity of the legal profession, and to champion justice. 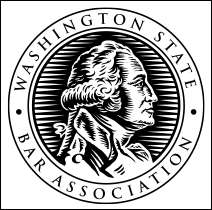 The WSBA offers online a complete list of attorneys practicing in the state as well as a full range of resources for the lay public.